This is actually my ‘Athena and Arlo’ post for March and April, as I somehow completely forgot to publish last months photo! 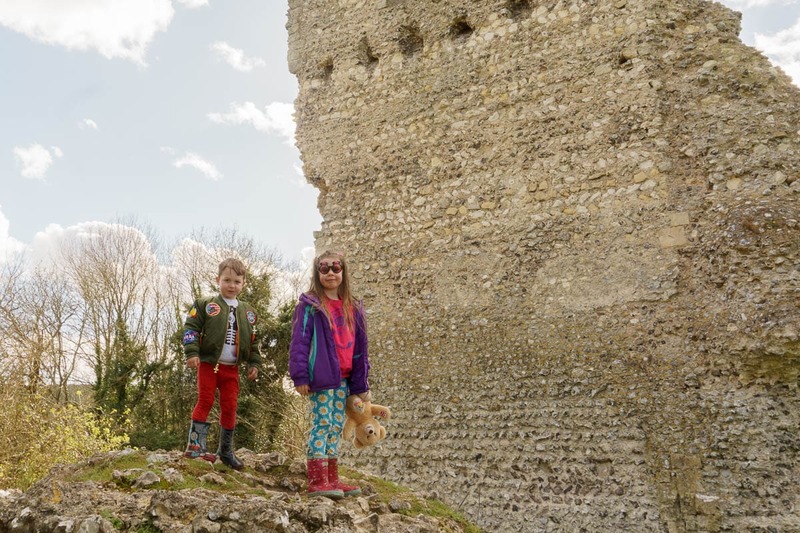 We’d just had a walk up near Devils Dyke and got very much blown about, so decided to head for lower ground and explore Bramber Castle, or what’s left of it! 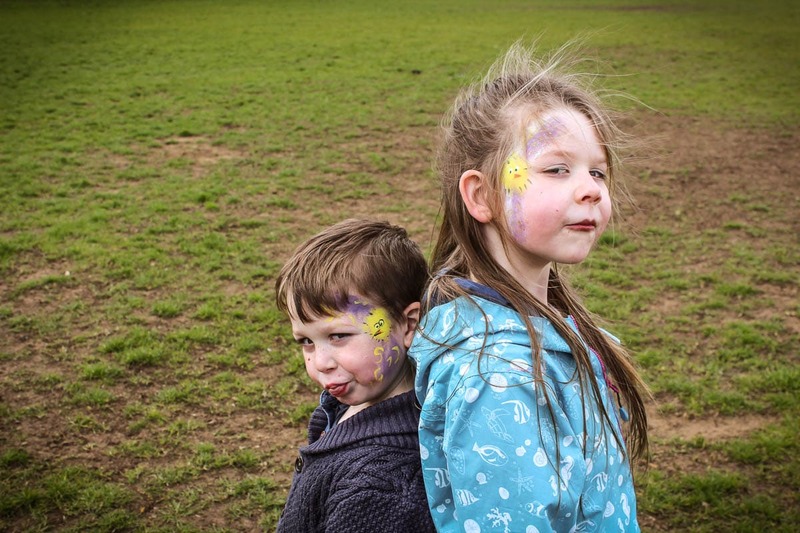 Now this months photos were taken yesterday in Hyde Park because the kids wanted a photo of their face paint! It’s a shame we weren’t in a more picturesque area of the park given that it was looking really pretty but hey ho! 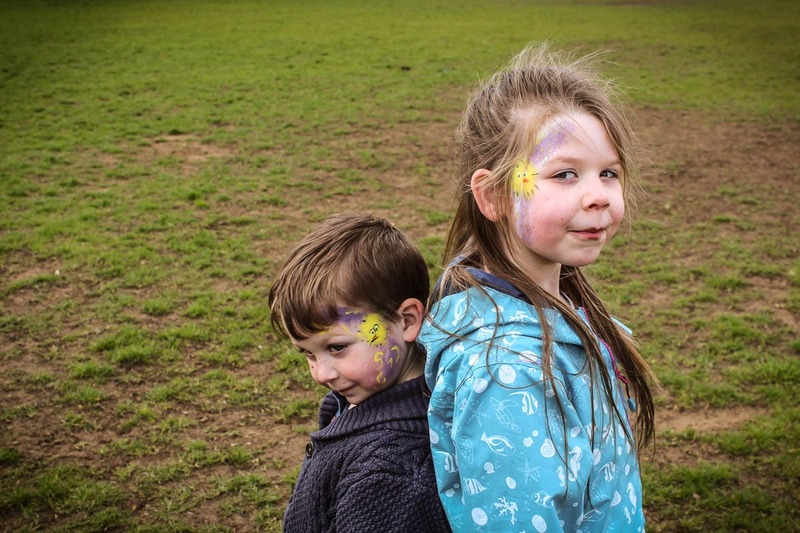 Athena and Arlo are both loving having more time to spend with each other now we’re in the Easter holidays, and are loving making a mess and demanding to know ‘what are we DOING today’ as soon as their eyes whip open in the morning! Athena is still trying desperately to be a good big sister whenever Arlo gives her the chance to help him or give him cuddle, but he himself is so independent that it’s not often he feels he needs to take advantage of her big-sisterly-ness! There was a cute moment yesterday when they needed to go and sit at the front of the room for a bubble show at the Science Museum, but all the parents who got there before us had taken up the bench seats so Sam and I had to hang at the back of the room. Athena took Arlo by the hand and dragged him to the front of the room, sat him down and put her arm round him, too cute! 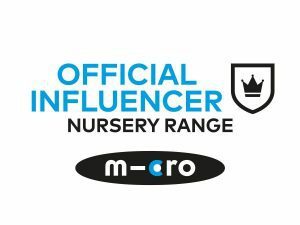 You can find more Athena and Arlo posts on the blog, I’ve been documenting them monthly since Arlo arrived, so four years worth!